Lenovo ThinkPad 10 20C1 10.1" Quad-Core Tablet Intel Atom Z3795 4GB RAM 64GB SSD. Pioneering for a superior user experience, ThinkPad 10 is optimized for business professionals seeking the ultimate in flexibility and connectivity. 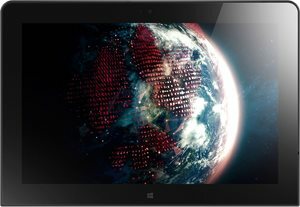 Constructed from premium aluminum with Gorilla glass to protect its ten inch full HD vivid display, the ThinkPad 10 tablet delivers a premium mobile experience with enhanced productivity capability in a purposeful lightweight design. Users can be creative with four flexible modes - Tablet, Stand, Laptop and Desktop. 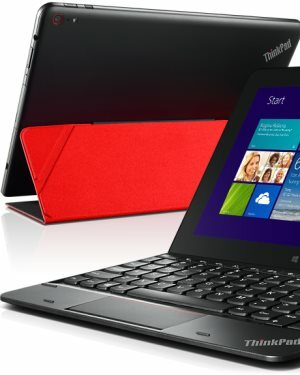 When connected to the optional ThinkPad Tablet Dock or USB3.0 docking station, users can add an external display, mouse, and either the Compact Bluetooth keyboard or directly attach the ThinkPad 10 Ultrabook full sized keyboard, making the transition from a highly mobile tablet to a resourceful office environment seamless. The Quickshot Cover makes photo taking a breeze. Whether for personal or business use, a quick flip of the cover protecting the eight megapixel camera launches the app automatically, ready for that dramatic landscape or the insurance assessment. Pioneering for a superior user experience, ThinkPad 10 is optimized for business professionals seeking the ultimate in flexibility and connectivity. Constructed from premium aluminum with Gorilla glass to protect its ten inch full HD vivid display, the ThinkPad 10 tablet delivers a premium mobile experience with enhanced productivity capability in a purposeful lightweight design. Users can be creative with four flexible modes - Tablet, Stand, Laptop and Desktop. Enjoy the portability of Tablet Mode when you're on the go, or connect it to the keyboard base, ThinkPad Tablet Dock, or monitor to use it as a laptop or desktop PC. Keep your data secure with features like Mobile Device Management, Workplace Join, and an auto-triggered VPN function when you select an app or function requiring access to corporate data. 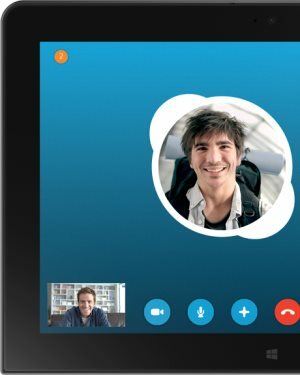 2MP front-facing webcam for crystal-clear video conferencing, supported by dual digital array microphones with noise cancellation and VoIP optimization. 8MP rear-facing camera with auto-focus, auto-flash, and video recording. The ThinkPad Digitizer Pen performs capacitive touchscreen functions swipe, drag, open, click with precise control, includes a right-click button, and converts your handwriting into digital text. The Mini HDMI-out port allows easy connection to an HD television or other monitor.